In shock Australian film industry news just in, Tropfest has been cancelled for 2015. “It is devastating for me to announce today that Tropfest will not be taking place as scheduled in Centennial Park this year. In the past week or so, I have been made aware that the company contracted to raise the funding and administer the Tropfest event is unable to move forward for financial reasons. Despite a challenging sponsorship climate, Tropfest has done reasonably well in attracting support this year; however, to my great surprise, the management company has informed us that it is unable to proceed. It goes without saying that this announcement is the most difficult one I’ve made in Tropfest’s 23 year history. My heart goes out to this year’s 16 filmmaking finalists, to our incredible list of sponsors and partners, and of course to our loyal and beloved audience. It is too early to tell what has actually happened here, although it is hard to avoid concluding there has been a terrible and irresponsible mismanagement of Tropfest funds. I and others will be spending the coming weeks and months investigating what has transpired. Read more here, in the SMH story - they broke the story. 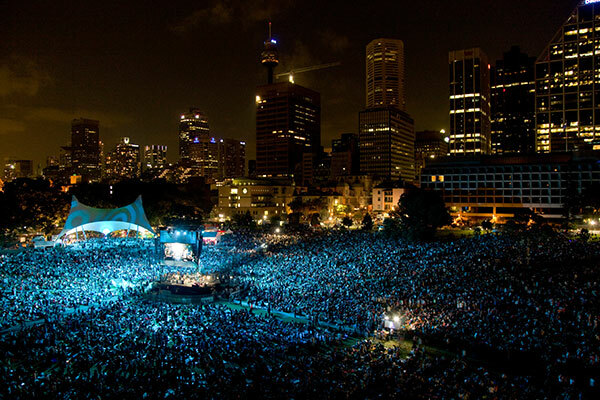 In 2006 the Tropfest screening had to be axed at the last moment because of wild electrical storms. And in 1998 Paul Fenech - creator of 'Fat Pizza' and 'Houses' - won after entering the contest in a woman’s name... because he believed the organisers wanted a female director to take the prize.